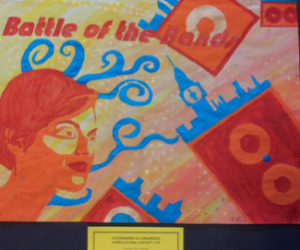 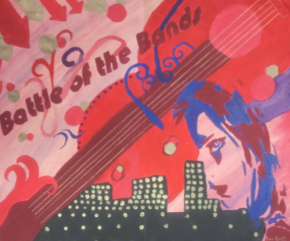 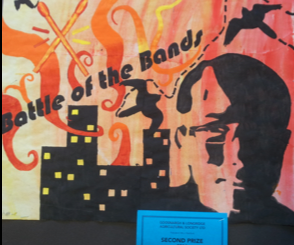 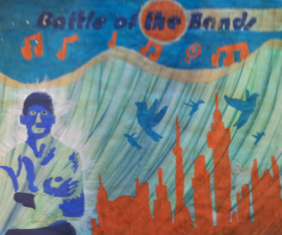 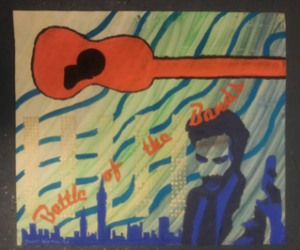 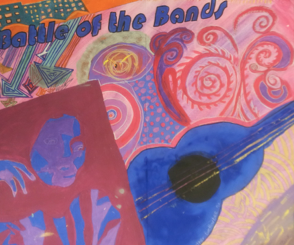 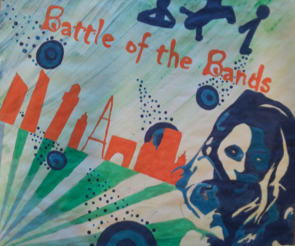 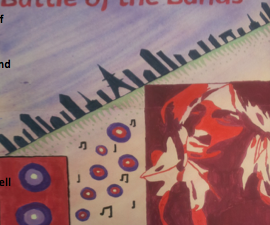 poster to celebrate the Battle of the Bands competition the school runs in March. 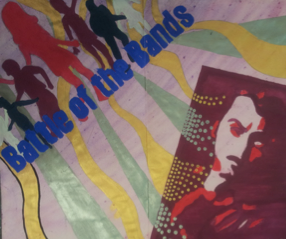 Contemporary designs are studied and help us to develop effective and exciting imagery of our own. 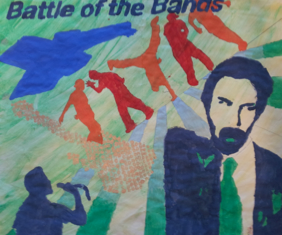 Pupils explore strong compositions and use a wide variety of painting and other techniques in their execution of their posters.